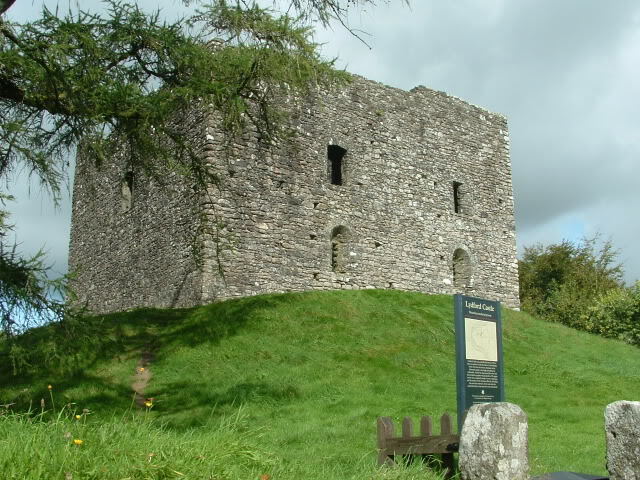 There are two parts to this castle , the older part was built soon after the norman conquest of 1066 AD on a fantastic site high above the Lydford gorge, the land dropped steeply on both sides making the castle an ideal vantage point and giving the occupants a stunning view over dartmoor, however this castle has been left to ruin. 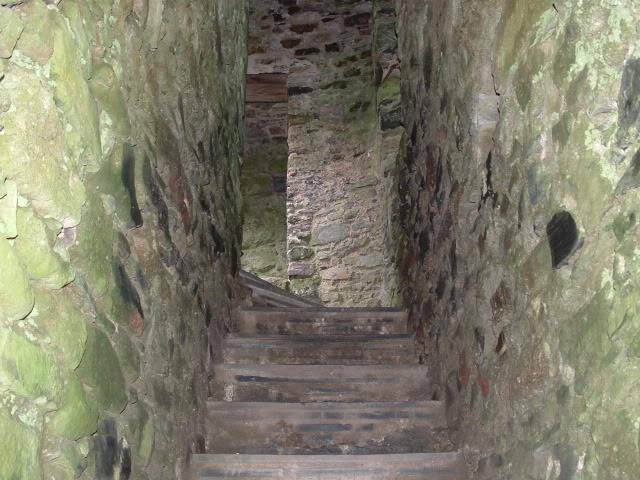 The excisting castle was built in 1195AD and i thought to have been built to hold prisoners , records prove that there were payments of £74 transfered for the building of the castle . 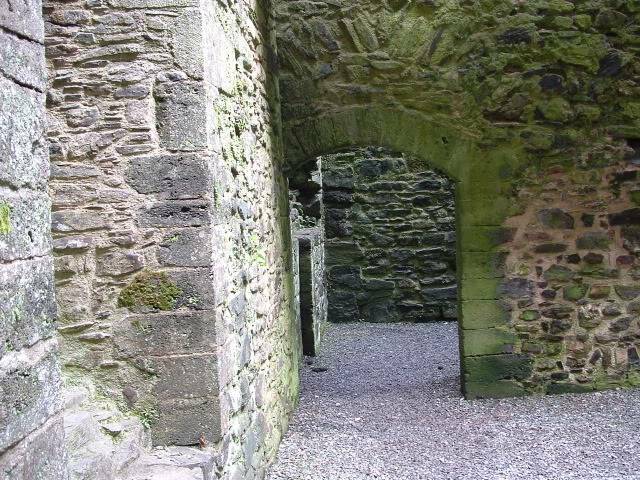 During the middle ages the castle was used as a court of law and the administration office for the royal forest of Dartmoor, the building also contained the Stannary court which over looked the running of tin mining, and was also responsible for the punishment of the miners. Laws that were enforced by the courts were often very strict and punishment was extremly severe , if a miner was found guilty of stealing tin then his punishment was three spoonfuls of molten tin poured down his throat. 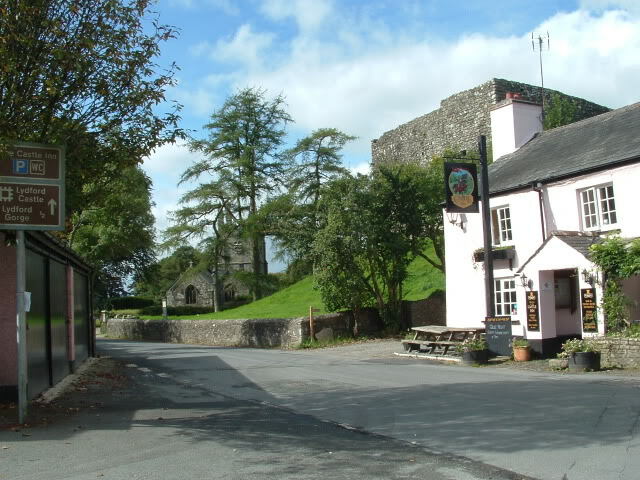 "I oft hear of Lydford law, how in the morn they hang and draw, and sit in judgement after"
During the civil war the castle was used by the royalists for keeping prisoners , they were often held in the lowest floor of the building , Devon at the that time had sworn their allegience to King Charles 1 . 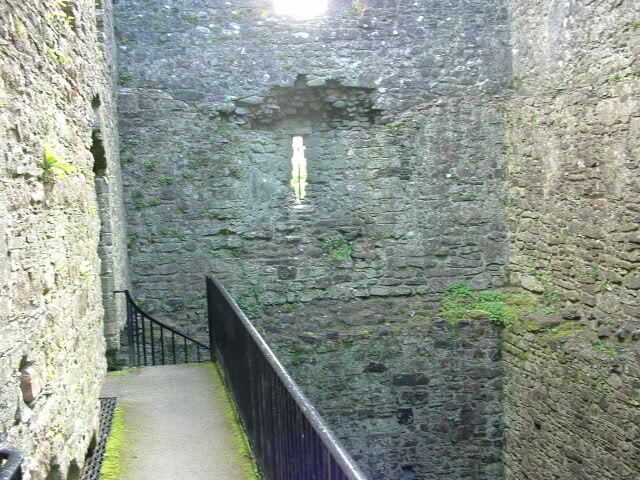 The castle was also used a a court of law by the famous judge Jefferies also known as the "Hanging Judge" who switched sides when it looked like the Parlimentarians were going to win . 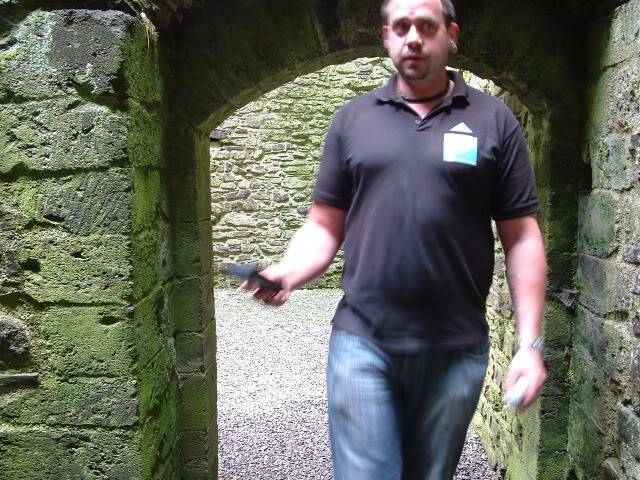 Myself and dave visited the castle at lydford today and had a good look around , here are some of the images that we shot on location . This is a quaint little bed & breakfast that is situated in front of the medievil castle , there have also been reports that the B7B is also haunted. The building has been made safe by the national trust and is open to the public at all times , here are some more of the images that we shot today . 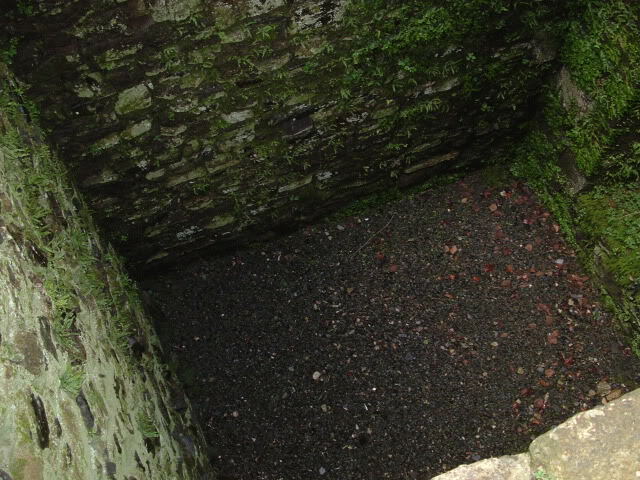 The last image is of what looks like a pit that we assume prisoners where thrown into , there is no entrance to the room, if we conduct an investigation here it might be worth while lowering a dictaphone into the room , i can imagine that there must have been allot of suffering in this room. i should have come with you, instead of attacking my pile of ironing. It definitely looks like more fun to me These pictures give me quite a good impression about that place. So when do you reckon can we do an investigation there? Still this year, or rather next year? As an outdoor location winter wouldn't be the right time. Maybe it would be possible to include the B&B in it? I will have a go at the research, including B&B and the church next to it. It would be interesting to see who was actually buried there. 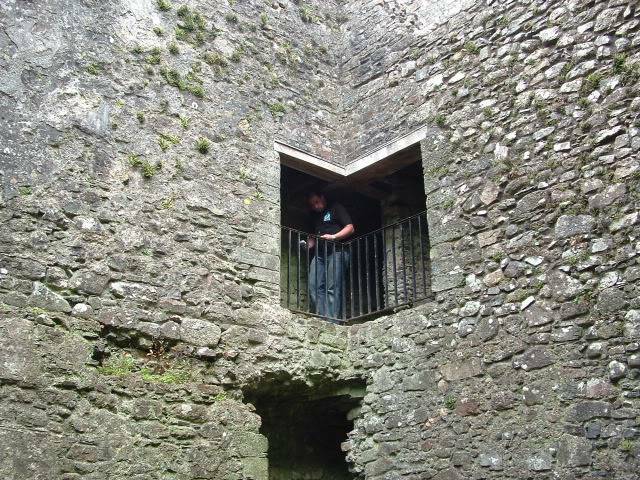 Hella, Toni and myself visited Lydford castle on Monday night , it was a bit windy but stayed dry which was good as long as we didnt stay in the open whilst conducting EVP's . On our first vigil nothing out of the ordinary happened we spent about 45 mins in the castle before retiring to the pub for a coffee , whilst we were in the pub we met three other individuals who were also looking for signs of the paranormal so we decided to go in again with them , on entering the castle the second time we then had a few things happen that we couldnt explain. I will be writing a report about this so keep an eye on this topic. It certainly turned into an interesting night and a great location, would like to go back during cAlmer weather..... Was great to meet up with another team too. it was certainly an interesting incident with the camera battery that emptied itself in 3 mins , that thing was full when we went in , and it wasnt cold enough for it to be a discharge due to temperature , so what made it run out in such a short time.